We are so proud of our amazing Adelante women who were recently honored for their leadership and business success in their communities. 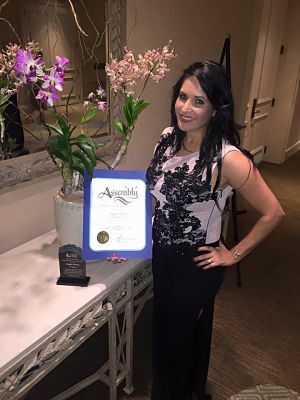 The Hispanic Women's Corporation awarded Candace Ramirez with the HWC 2015 Small Business Woman of the Year Award at this year's HWC Scholarship Benefit Luncheon on September 25th. Candy is the owner of Candy's Cakes & More from Tucson, AZ. 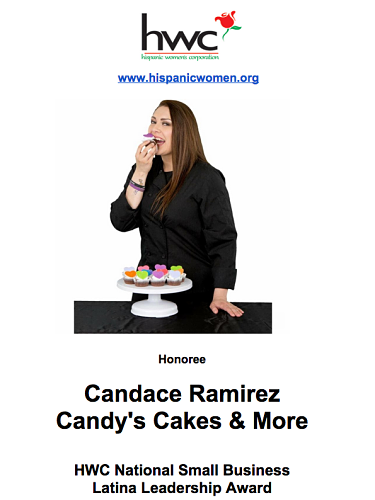 Candy is part of the Coca-Cola’s 5x20 global initiative to have 5 million women entrepreneurs by 2020 and is the Cox 2015 Latina Entrepreneur. She has been coached by top executives in the industry, was featured in Cake Master Magazine and is planning her televised baking show. 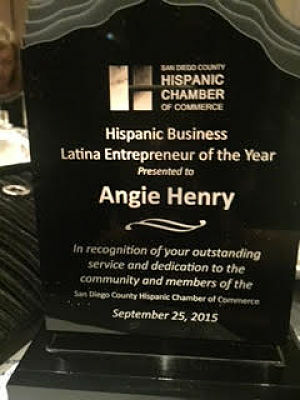 The San Diego Hispanic Chamber of Commerce recognized Angie Henry as their Latina Entrepreneur of Year on September 25th. Angie is the owner of New Palace Realty and also part of Coca-Cola's 5x20 global initiative to have 5 million entrepreneurs by 2020. Congratulations Angie and Candy! You are an inspiration to all of us at the Adelante Movement!